"A good time was had by all" — that's our story and we're sticking to it! I shot a little bit of video, but the lighting and noise made it pretty unusable, so I clipped a few stills to provide some evidence of the fun at Tully's last night. As I understand it, this Tweetup was pulled together just yesterday via Twitter. But a great group showed up (modest, too) and got to know each other better. Social ... networking ... fun. Nobody kept to the 140 character limit, as far as I could tell. "Marketing Guy" and friend(?) - I'm sorry, I didn't get full names amid the great conversations and general tumult. Hope I didn't miss anyone who was there. But if I did — and you're willing to admit you were there — please "sign in" with a comment. And if I didn't miss you, feel free to defend yourself! Next time — there seemed to be a concensus in favor of a next time — we can get the word out in advance. If she's listening, several people mentioned getting our local "Queen of Networking" Emily Carpenter (@EmilyCarpenter) involved. So, until next time ... "see" you on Twitter ... and Happy New Year! 3. Business doesn't like doing public experiments. Again, this seems to be one of the favorite recent themes of the hypesters: that businesses should start blathering with their "corporate voice." But mainstream business doesn't let just one person speak for all its interests. And that applies even to the CEO — or, I should say, especially to the CEO in the current climate of ethics lapses and Sarbanes-Oxley. Don't you just want to shout, THE EXPERIMENT IS OVER? But no, that would miss Graeme's point ... and the much more important response that public "experimentation" is one of the high-value benefits that businesses are experiencing with blogging and social media. I take Graeme to have meant that traditional-minded businesses prefer learning what their customers want from spreadsheets, carefully chosen focus groups, and scientifically randomized studies. Since then, however, we've seen many examples of corporate blogs being used to ... gasp! ... ask the customers themselves for feedback. If you've come via a search, link, or other indirect route, this is Part 2 of a series that grew out of my Blogs vs. Social Media: Businesses Need Both post. Part 1 - A Passion for Your Business examined the role of passion in business ... and in blogging. 2. Business doesn’t like gossip. The blogosphere is well known as a cauldron of innuendo and over-the-back-fence chatter. (That’s not to say some political blogs haven’t helped get to the truth in some notable instances — such as the Dan Rather incident. But we’re talking business here.) The fact remains that business people still have two big questions when it comes to this blogging phenomenon: Who would I trust out there? And, what would I get out of slogging through all this uncontrolled chit-chat? Depends on who's chatting, no? And what they're chatting about. Pejoratives like "gossip" and "innuendo" aside, one of the things I tell audiences all the time is that thought-leaders in just about every field of human endeavor are blogging and/or commenting on each other's blogs. Cutting edge ideas that will affect your business appear and get debated on blogs (and Twitter) months, if not years, before they show up in mainstream media, or professional and academic journals. True, the blogs maintained by though-leaders in your field, or in fields of science, technology, or business that affect your business in myriad tangential ways make up only a small fraction of that scary place called the blogosphere. Even adding in the many news and commentary blogs now published by most mainstream media, that portion is miniscule compared to the still fast-growing whole. So what about those millions of other bloggers, the ones whose grammar, spelling, or choices of topic you may not approve? As Yvonne reminded us recently, Mommy and Daddy Bloggers ... ARE Your Market. My Blogs vs. Other Social Media post last week started as a response to yet another prediction of doom for blogs and, as I wrote it, turned into an introductory post for this series. This Darwinian thing is starting as a play on the "evolution" of ideas about blogging from a piece by Graeme Thickins back in April 2005 and the apparent "extinction" of the online magazine where he published it, Darwinmag.com (here's the Internet Archive version). I have no intention of contributing to the scientific literature on Darwinism, but the wordplay may be too tempting to resist, so we'll see where it goes ... and please let me know if it gets in the way of the discussion. BTW, I gave a Graeme-2008 a heads-up that I'd be doing this series and now have had the pleasure of exchanging emails and talking with him on the phone. Here's an email snippet from what he had to say: "Wow, Tom, you're really diving back into the Internet Way Back Machine on this one! Seems an eternity, huh? But, okay, I hereby put myself up for even more abuse by the blogosphere... :-)"
I think we'll all enjoy Graeme's current perspectives on this discussion, since I've discovered he's got a rich background and long experience on the Web and he's indicated he'll be contributing to the comments along the way. We'll start that off by inserting the rest of the email mentioned above as the first comment (Graeme sent it after seeing and discussing a draft of this post). 1. Business doesn’t do “passion.” That, according to the experts, is the prime requirement for launching and successfully building a voice with a blog. On the contrary, business is about logic, predictability, executing a strategy, even-temperedness, a steady hand – and, yes, earning a profit (something absent in the field of blogging). Name one successful CEO known for passion who’s lasted beyond a short flameout period (okay, besides Steve Jobs). Wow! I guess I'd turn the challenge around and ask anyone to name a "successful" leader in business or any other field who did not have a passion for the task at hand. In fact, Darwin might have called passion a business leader’s survival trait. Who knew that a two month delay would make the topic of helping small businesses thrive in a slow economy even more timely? Back in August, Yvonne and I were invited to speak at a roundtable in New York City entitled "Who Says a Slow Economy Has to Slow Down Your Small Business?" hosted by Brother. I've been waiting for the video to post about the discussion and now that they're here, today's time crunch prevents me from doing anything but posting them. As might be expected, some of the "good stuff" (at least as I perceived it) got left on the cutting room floor. So I'll try to do another post later to fill in some details. But I do think the clips here provide a useful variety of ideas on how small businesses can weather the current economic crisis. Blogs vs. Other Social Media? We all know why Paul Boutin wrote his disingenuous post, Twitter, Flickr, Facebook Make Blogs Look So 2004, claiming that nobody should think about starting a blog and those who have one should "pull the plug." He wants links and traffic. And he'll get them, as folks who are willing to post outrageous nonsense generally do. But on the chance that someone out there might think his advice worth listening to, here's mine: ignore him. The ironies are so rampant. Boutin signs off claiming to be a "correspondent" for the "gossip site Valleywag." It's a blog. He's just another blogger. He's posting his advice against blogging on, you guessed it, a blog. And the blog is one of a couple of dozen blogs that make up Wired.com. But let's put aside his blatant traffic-seeking hypocrisy and look at a couple of his arguments. The main one is that the blogosphere is so crowded with professional, big-media bloggers that newcomers or little guys can't get found. 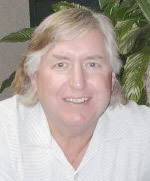 One of our clients, Dr. Bill Ward a/k/a DR4WARD, started his blog about marketing around Super Bowl weekend this year. I just did a quick check of his traffic today and someone came from a Google search for the terms "budweiser commercial dalmation appeal emotion" (without the quotes) and Bill's blog was # 6 on the first page (click on the image to enlarge). Ahead of Budweiser's own site. Ahead of any mainstream media. In fact, six of the top seven results are identifiable as blogs reviewing the Super Bowl ads. Want to get found quickly: Get blogging! Continue reading "Blogs vs. Other Social Media? I've been accumulating a stack of somewhat related posts and articles over the past few months revolving around topics like the business value of social media, engagement, and measurement, metrics, or whatever term you prefer. There's way too much bubbling in my head to cover in one post, but I'm going to start with some of the recent fretting over "measurement" — since that's what connected me with Warren Buffett's advice this morning. A simple rule dictates my buying: ... [buy] when others are fearful. ... if you wait for the robins, spring will be over. Yeah, yeah ... I know Warren wasn't talking about investing in social media. But his rationale applies, nonetheless. We continue to hear business people from organizations large and small express fear about investing their time and/or money in blogging and other social media. "The lawyers won't let us, because somebody might leave a negative comment." "The C-level execs demand 'measurable' ROI." "What if I can't keep up with writing 2-3 posts a week?" First, the FUN part: I got to drive the Mustang BULLITT Limited Edition! Three times! THANK YOU, to Scott Monty at Ford for having the wisdom to invite Yvonne and letting her bring me along to capture the visuals. You can learn more about Scott's thinking on this at his Social Media Marketing Blog. The event took place at the Ford Proving Grounds in Dearborn, MI (link to Google aerial view from Scott's post). In case you missed it, here's an MSNBC report that ran on the NBC Nightly News last night about CEO's getting involved in blogging. Check out the description of Bill Marriott's blogging technique ... but don't you dare laugh: "Marriott says his blog [Marriott on the move] is responsible for more than $4 Million in bookings" for the hotel chain, since he started it last year! Okay, okay, C-level executives blogging is old news to many of us ... our friend Greg pointed me to yet another, the aptly named Tom Glocer's blog by the CEO of Thomson Reuters, who recently offered this explanation of why he sees blogging as "a very worthwhile investment" of his time. Can you really picture a corporate executive spending his or her time searching the Internet for blog and Twitter and clutter? Don’t you think they may have a few other things to occupy their day, such as strategy, critical decisions, succession planning, profit, and marketing? No C-level person has ever engaged me as a result of my blog or the internet. C-level people don’t have time, even if they are fascinated by the technology. In the here and now — which is where they and I prefer to live — blogs are not a reasonable way to get into the executive suite. Period. Hmmm ... if the C-Level executives these guys know are too busy to engage in and figure out how to use a medium that can generate $4 Million in bookings for Marriott Hotels, maybe their shareholders should be clamoring for new executives. And if Alan and Steve are the consultants responsible for them seeing themselves as too busy ...? BTW, I have read Alan's book, The Ultimate Consultant, and recommended it to others dozens of times. So as you'll note in my comment on his blog, I'm still not at all sure he's serious about his claim, as opposed to "stirring the pot" to get traffic. He is, after all, recommending against blogging on his own blog. Reminds me of Bob Bly and the "Blyopia" fun we had a while back (Blyopia Part I; Blyopia Part II; and Blyopia Part III) ... and not to be left out of the fun, Bob chimed in to warn Alan about those pesky "social media enthusiasts and blogging evangelists"! A recent edition of the NAWBO SmartBrief email newsletter used the headline "Cookie maker's blog revived her flagging sales" and linked to a story in the Star Tribune about Katherine Novotny's experience in turning around her business by blogging about its impending shutdown. One week later, Katie was able to write a Thank You, St. Paul!!! 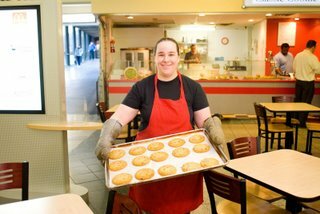 post and announce that St. Paul Classic Cookie Co. had "made it through." Did Katie's blog save her business? No, I don't think the blog itself saved the cookie shop. Looking at her archives, Katie has been blogging sporadically since July 2006. Most of the posts prior to the crisis (only 6 in 2006 and 7 in all of 2007) are basically ads for Katie's products, recipes, specials, and the like. Then, Katie used her blog to do what blogs do best: she engaged with her readers on a personal level. With business blogs, this includes your customers and your network of contacts. Katie's experience is a classic case of online and offline results. First, her fellow downtown business owner, Lisa Cotter Metwaly, owner of the Q Kindness Cafe, forwarded the story via email to others like Michael Belaen of the St. Paul Chamber of Commerce and a downtown e-newsletter with 3400 subscribers. Another friend from a local networking group, Linda LaBarre, a professional organizing consultant, took it upon herself to distribute flyers downtown on Katie's behalf. I point out all the time that nobody ever got fired for blogging, though a handful have been fired for doing something stupid on their blog. Similarly, I'd argue that Katie didn't save her business just by having a blog, but by doing something very smart on her blog. She used it to engage with her customers and friends the same way she would if talking to them face to face in her shop or at a networking event. "Enough people responded that we were able to pay our bills, meet our deadlines and stay open. And we were also able to talk to our customers so they understood why we raised our prices the next week." The second sentence contains the key. Her blog post enabled her "to talk to her customers so they understood" her business. The lessons? Use your business blog as a tool for connecting on a personal level. And don't wait until you're about to close the doors to get started.